Happy C.C. 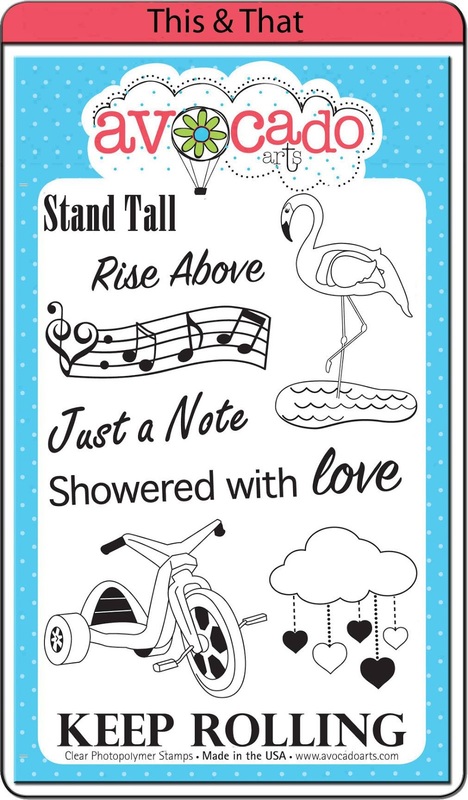 Designs Rubber Stamps Release Day!! Are you ready for the FALL season? The new images are perfect! Here is my card using Abigail's Acorns and a sentiment from Nutty Buddys. I colored her with my Copics and fussy cut her out. 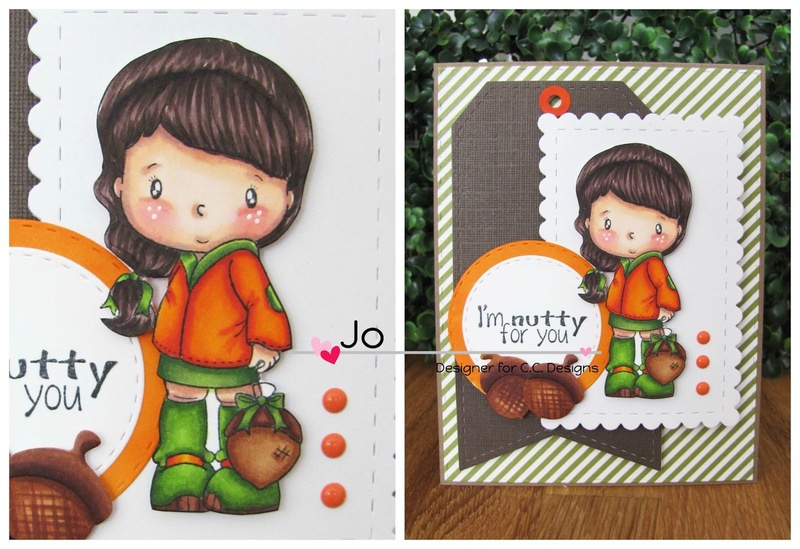 There is also a new die set, Make A Card #9 Autumn. The cute rectangle scalloped die with stitching is fabulous! You like those nuts? LOL They are also dies colored with Copics. You can't have a Fall release without Fall colored Enamel Dots. I used three orange ones on the side. Thanks for stopping by! 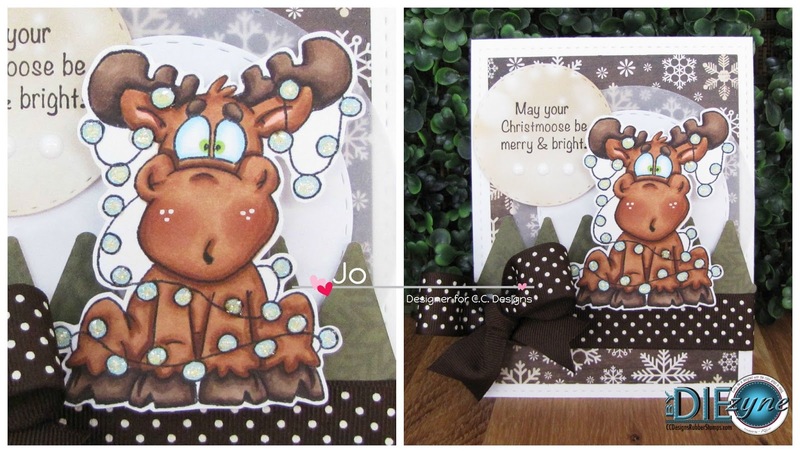 Make sure to check out all the other projects from the DT over at the CC Designs Blog. Good Morning! 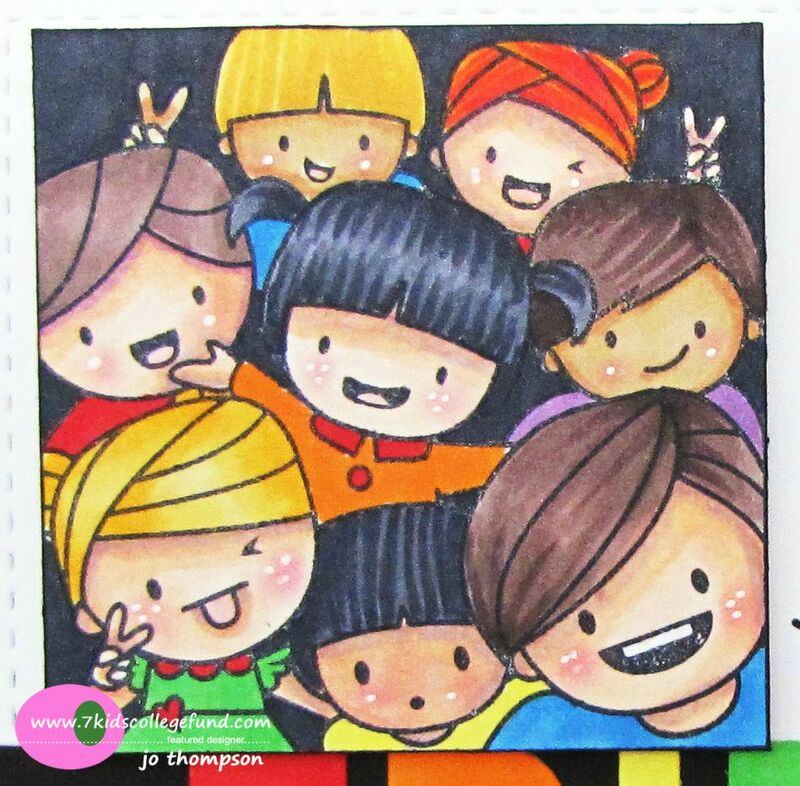 Today's card on my blog is for the 7 Kids Challenge Blog, "Anything Goes" (with an Optional Twist - Back to School). Make sure you use a STAMP/IMAGE carried in the 7 Kids College Fund Store in order to qualify. When I think of school, friends come to mind. 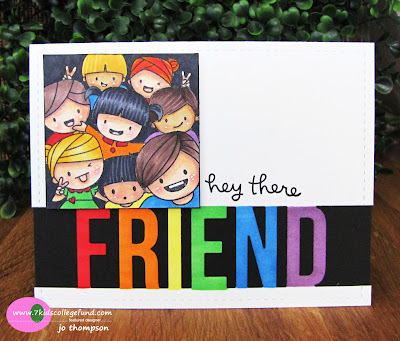 So I made this "FRIEND" card featuring Mama Elephant - Photo Bomb and the MFT Die-Namics - FRIEND. I placed the MFT die towards the bottom of the card. The letters are colored with Copics, as well as the ME image. I added some stitching detail on the border of the card with By DIEzyne Dies - Card DIEzyne #1. This is pretty much a staple on all my cards now. I placed a strip of black cs behind the cut out. The ME image is popped up on dimensional pop dots. The "hey there" sentiment is from Lawn Fawn - Flirty Frames. Come play with us and join the 7 Kids Challenge Blog! Thanks for stopping by! Hello everyone, I'm Guesting (is that a word?) over at The Greeting Farm. 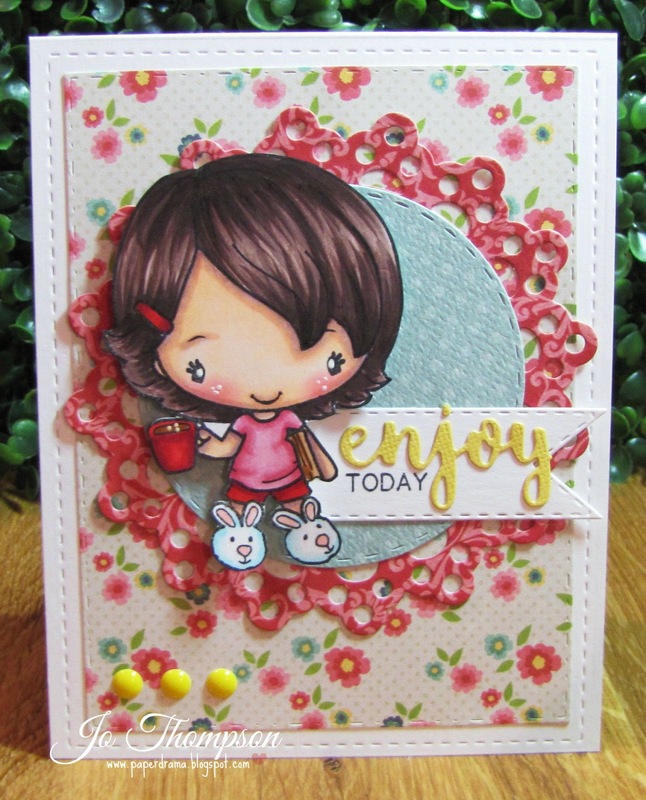 Today I am featuring the newly released The Greeting Farm - Happy Anya Digi. I'm a sucker for their Digi images. For this card, I'm using another one of their new clear stamps and coordinating word dies: Sparkle & Shine Clear Stamp and Sparkle & Shine Die Cuts. It's a must to cut the word dies on glitter paper! Added a few sequins to the mix and my card is done. Here is a Start to Finish video over on my YouTube: Paperdrama. Hi everyone, happy Monday! I'm a Guest over at The Greeting Farm. Today I am featuring The Greeting Farm - Snuddle Anya. She's so cute with her cocoa and bunny slippers. Something new to TGF are these clear stamps and coordinating word dies: Celebrate & Enjoy Clear Stamp and Celebrate & Enjoy Die Cuts. The stamps and the word dies are the perfect size for cards. Here is a Start to Finish video over on my YouTube: Paperdrama. It's been awhile since I did a Copic coloring video but here goes. Good Morning! Up now is a new challenge over at the 7 Kids Challenge Blog, "Anything Goes". BUT make sure you use a STAMP/IMAGE carried in the 7 Kids College Fund Store in order to qualify. Today's card features C.C. Designs - Fairy Twila. Part of their August Release, Halloween themed, but can be used for different occasions. 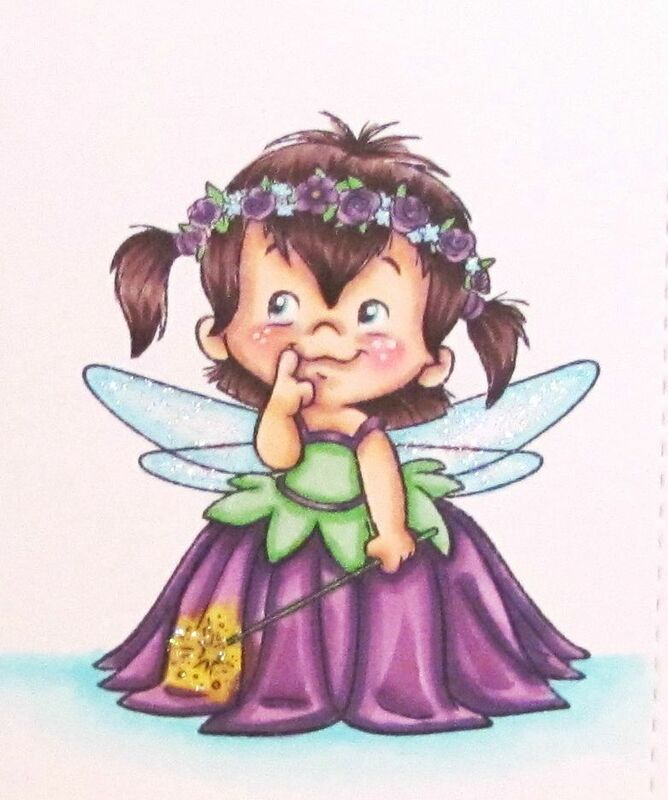 She is colored with Copic markers and her wings are glittered up with Star Dust Stickles. The simple sentiment running across the card is from Mama Elephant - Sunday Sentiments. 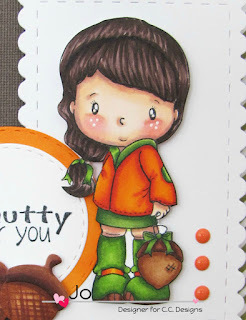 I created an embossed stitching outline around the card using the By DIEzyne Die - Card DIEzyne #1 set. Love the extra detail it adds. Threw in a few sequins and the card is done. For more creations from the DT, visit the blog. Come play with us and join the 7 Kids Challenge Blog! Thanks for stopping by! Hi everyone, Happy Wednesday! Here I share my card using C.C. Designs - Meoples Hallo-weenies Rubber Stamp Set. I chose two images, the Frankenstein and pumpkin. Both are colored with Copic markers and I used the Wink of Stella Clear pen on the bolts on the neck. The images are fussy cut and placed on a paper pieced frame from the Make A Card #8 Die Set. I also used the spider and web die from the set. 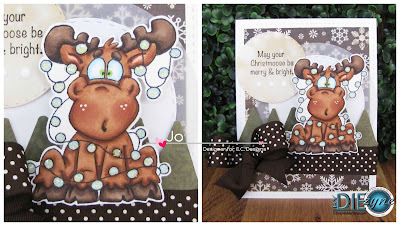 The background is created using the Frankenstitches Stencil with white embossing texture paste. It goes perfectly with the image. The sentiment "Happy Halloween" is from the stamp set and cut with a banner die. Lastly, I used the black and green dots from the Halloween Boo! Enamel Dots. Thanks for stopping by! Hope you are enjoying all the fabulous projects from the Designers using the August Release! Happy Sunday! Today's cards features a stamp from Avocado Arts. 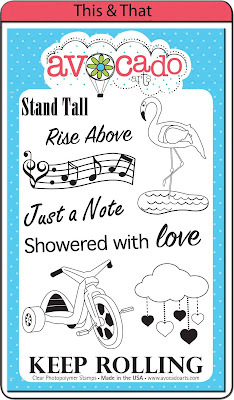 My first card uses the cloud with raining hearts and the sentiment "Showered with love". I created some cloud coverage up top with some dies and layered in the cloud image. 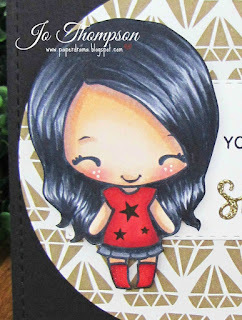 I stamped it with a red pigment ink, opting to not use black ink, for a softer look. The sentiment is stamped on a strip of pattern paper and I added die cuts of a cloud and heart. For my second card, I used the Flamingo image in the set. Not using a sentiment this time, keeping the front simple and clean. I added some stitching detail with dies. Lastly, I wrapped bakers twine around the card. 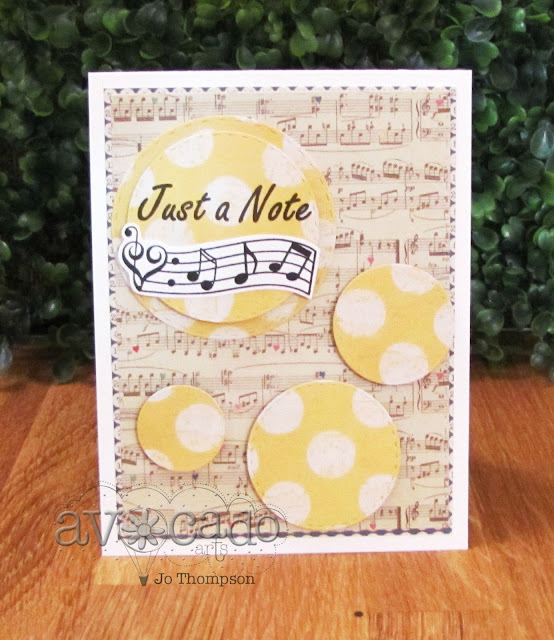 The last card used the "Just a Note" sentiment and the musical notes image. I placed some stitched circle die cuts randomly on the card and popped them up with dimensional pop dots. I stamped and fussy cut the musical notes image and placed it under the sentiment. This went perfectly well with the pattern paper that I used. For more inspiration, visit the Avocado Arts Blog to see what the Design Team creates using this set. Enjoy your day! Happy Saturday everyone! Have you joined the new challenge over at the 7 Kids Challenge Blog, "Anything Goes", there's still time to create and submit! Here's my card using Monster Mash by Lawn Fawn. Halloween is coming up and I wanted to create a CAS card using this cute set. I used By DIEzyne Dies to do all the trimmings and matting. The ghosts are colored with Copics. 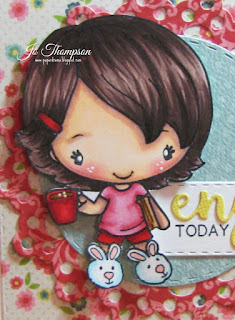 I am on a googly eye kick (i have a whole bag) and these were perfect embellishments for this stamp set. Lastly, I just added some orange twine. Get your craft on and come play with us over at the 7 Kids Challenge Blog! Thanks for stopping by and enjoy your weekend! Thank you everyone for hoping with us. The winners were found on Kim and Lizzy's blogs. Awesome coloring on your cute card! 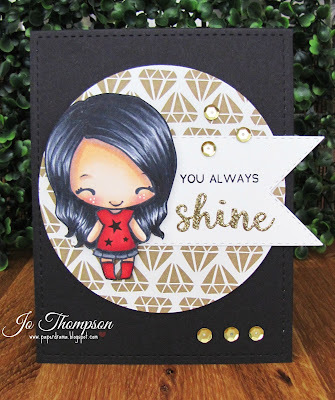 Great set of dies that you used and a fun new stamp too! Love this bear. 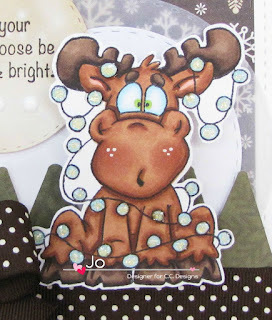 I really liked the coloring and the addition of the charm, pearls and twine. Nice papers. We hope you love the new Doodle Dragon as much as we do. We are excited to announce the third release from By DIEzyne Dies and Doodle Dragon. We are celebrating this weekend on Passionate Paper Creations and Friends Facebook Group and C.C. Designs Facebook Group. Here's my card using Doodle Dragon - Tangled. I can definitely picture a moose getting all tangled up in fairy lights LOL. I went for the white colored lights. The image is colored with Copics and he's placed on an Action Wobble Spring (because I had to..not really). 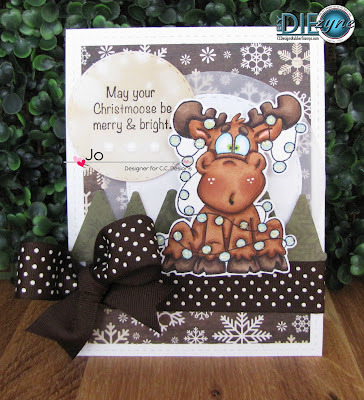 The banners in the BDZ Card DIEzyne #1 die were used as trees to go with the holiday scene. Another die in this set is a rectangle die that adds stitching. So I used it on the outside to frame the designer paper. The circles are from BDZ Stitched Circles. Hope you enjoyed my card and the rest of the projects in this Hop.